This book is jam-packed with practical knowledge on German cloth military headgear. Useful information to help novice collectors learn how to avoid costly mistakes - cap construction basics and materials, descriptions of each cap model and comparisons with altered originals, modified post-war caps, and reproductions - all neatly divided into individual sections for easy reference. Also included is a series of convenient quick check lists that identify common modification danger points for each cap type. For the advanced collector, the book offers historical background about the German cap making industry with the first-ever comprehensive listing of German cap makers, maker mark illustrations, and many individual histories, including never published information on the history and sad fate of the famous cap maker Robert Lubstein/EREL. Over 220 color and black and white contemporary and period photographs bring The Pocket Guide to Third Reich Military Headgear to life. This book is jam-packed with practical knowledge on German cloth military headgear. 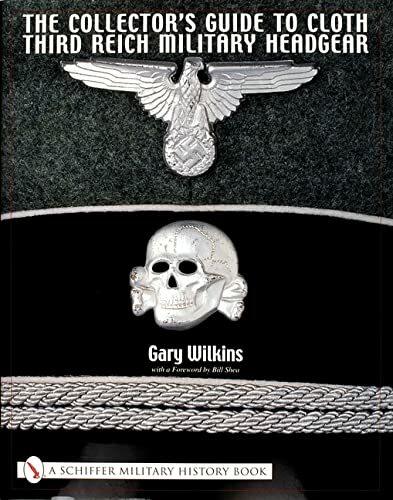 Over 220 color and black and white contemporary and period photographs bring The Pocket Guide to Third Reich Military Headgear to life.